I was born in Northamptonshire and, I suppose like most boys, I liked being outdoors. We had a family farm around where I lived, knew most of the people in the village, and I did things that you probably wouldn’t do now, like egg-collecting, and I just developed an interest in the outdoors and wildlife. When I was 16 we moved to Wiltshire and in 1969 I gained a place at university in Leeds to study Zoology and that was a four year course, which I thoroughly enjoyed. From there I went to study for an MSc at Aberdeen, in Ecology, which was fantastic, it was a 12 month course that I finished in 1974. We had a good chance to look round Scotland and generally I thought it was great. Then, of course, you get to the point, as most people do, of trying to look for a job. I’d obviously at that stage got a degree and an MSc, but had no practical experience. I was then back living in Wiltshire, trying to find temporary work to keep me going and I got a job at what was then the Nature Conservancy Council, doing surveys of semi-natural grassland. I also did a stint of tree-planting and fencing, which makes you fit, but thought this was not going to form a lifetime’s work for me. Then I got the chance to become a lecturer at Lackham agricultural college in Wiltshire for six months. This had a slight downside, because I was warden as well, which meant I had to live in and I’d only just got married and my wife could not stay at the college with me. It did have the advantage though that it paid much better than anything else I could have got at the time and was actually a very interesting thing to do, but still I couldn’t find any jobs in the fields of Ecology/Zoology, which is what I really wanted. I was filling in lots of application forms, but they were all coming back saying no. You begin to wonder what you’re doing wrong, although I was doing my best by building experience and adding to my CV. Then I saw a job advertised in the New Scientist for a biologist to work mainly on the feeding ecology of coypus. So I duly put in my application, not expecting very much to come of it, and lo and behold I received an invitation for an interview in London. I didn’t really expect to get the job, but I went along, thinking well at least I’ve got an interview at last. An envelope came through the door a few weeks later and I looked at it and thought oh it’s going to be telling me it was nice that I turned up, they’d had a lot of applications and so on, but it was actually offering me the job. I was flabbergasted. That meant moving to Norfolk. My wife was working as a librarian in the Avon Rubber Company at the time, so when I got the job we hadn’t got sufficient funds for her to come and join me initially, so she stayed behind in Wiltshire for the first nine or ten months. It was an interesting trip over. We had one old car, which my wife kept, and I bought a very small 125 cc motorbike to get me across to Norwich with all my gear to start work. I’d never driven a motorbike before. I tried it a couple of times and managed to do alright, so I duly set off for Norfolk with all my belongings strapped to the bike and to my back. I got as far as Oxford when it seized up completely. It was a two stroke motorbike and I don’t think I’d put quite enough oil in the petrol. So I had to leave it at the services in Oxford and I hitchhiked to Norwich to start work. I started work in 1976 with the Coypu Research Laboratory, which was my first proper job. It was very interesting, except I did little work on feeding ecology. The majority of the work was on the population dynamics of coypus; how the population increases and decreases, what causes that, what impact trapping and weather has on numbers and so on. So it was not quite what I expected when I got there, but actually much more interesting than just focusing on feeding ecology. Coypu were introduced into this country in about 1929 for their fur. They’re a semi-aquatic South American rodent and weigh up to about eight kilograms and an adult measures around a metre from the tip of the nose to the end of the tail. They bred all year round and had litters averaging five or six young a time. Probably the main population in Norfolk would have originated from three fur farms around Norwich, one of which was at East Carleton Manor, owned by Philip Tindal-Carill-Worsley. There’s actually a number of interesting photographs showing what his farm looked like in those early days on the website for the village of Mulbarton, which adjoins East Carleton (www.mulbartonhistory.org.uk). The fur farms originally had a southern and easterly distribution in the country reflecting plenty of low-lying wetland, where the climate wasn’t too harsh. Once they escaped from the farms, they gradually bred and the population in the Broads expanded. There was one other population that became established in sewage works near Slough, which for some reason disappeared; I suspect this wasn’t quite as nice a place to live as the Broads! 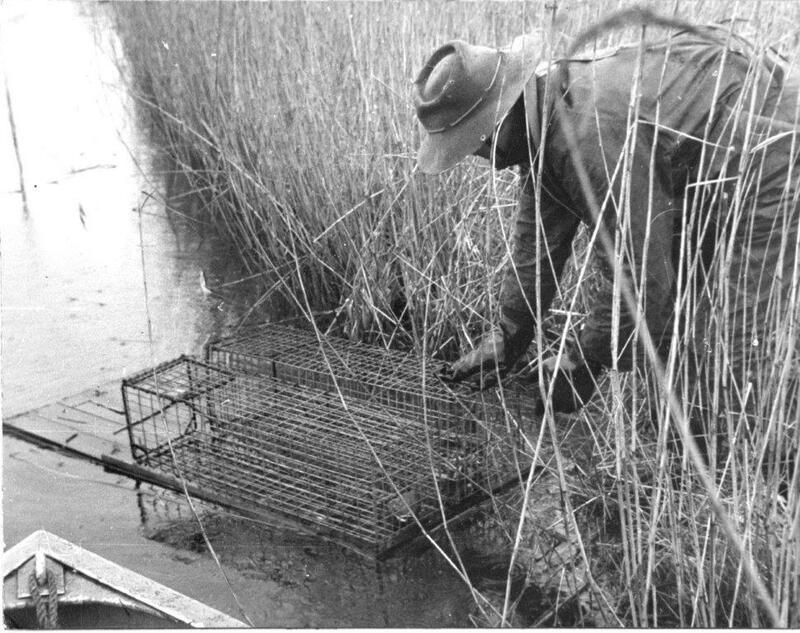 An adult coypu caught in a cage trap (MAFF Crown copyright). The population of coypus increased steadily until in the late 50s/early 60s, by which time they were widespread, and people really started worrying about the problems that they were causing. They would eat crops and, although they didn’t exclusively live in burrows, but they would burrow and so caused problems with drainage systems and dyke banks. Their feeding was also very specific and Ted Ellis, the well-known local naturalist, was one of the first to point out that many of the rarer plants were disappearing from the Broads and the nature of some of the Broads was changing. So the farmers didn’t like them, the conservationists didn’t like them, the Water Authorities didn’t like them and the public didn’t particularly like them either, because they looked rather like a large rat with orange teeth. So they didn’t have very many friends at all. We think there might have been as many as 200,000 coypus in East Anglia by the early 1960s and a first eradication campaign was started in 1962. I suppose because it was relatively soon after the War, they tried a military style of eradication programme. They started trapping from the outside, somewhere in the Fens, and trapped in concentric rings moving inwards to push coypus back towards what were called the ‘inner redoubts’ in the Broads and Broadland. In hindsight you can see there was quite a problem with this, because while they were controlling coypus in the low density populations at the periphery, they were breeding like mad in the prime habitat of the Broads and emigrating outwards into the areas they had already cleared. In addition they would always leave a few behind as they had to move forward at a reasonable pace. The first campaign coincided with the very hard winter of 1962/1963 and, knowing what we later found out about coypus, this probably killed 90% of the population. However, because there was a big trapping effort happening at the same time I think people rather thought that trapping had made a bigger impact on coypus than it did; it was in fact the harsh winter weather that had the main impact. All the dykes were frozen, the Broads were frozen. The coypus couldn’t feed properly and they got very nasty lesions on their tails. Many starved to death and also the females, because they were trying to breed all year round and obviously in that period you couldn’t successfully carry a litter, would abort. 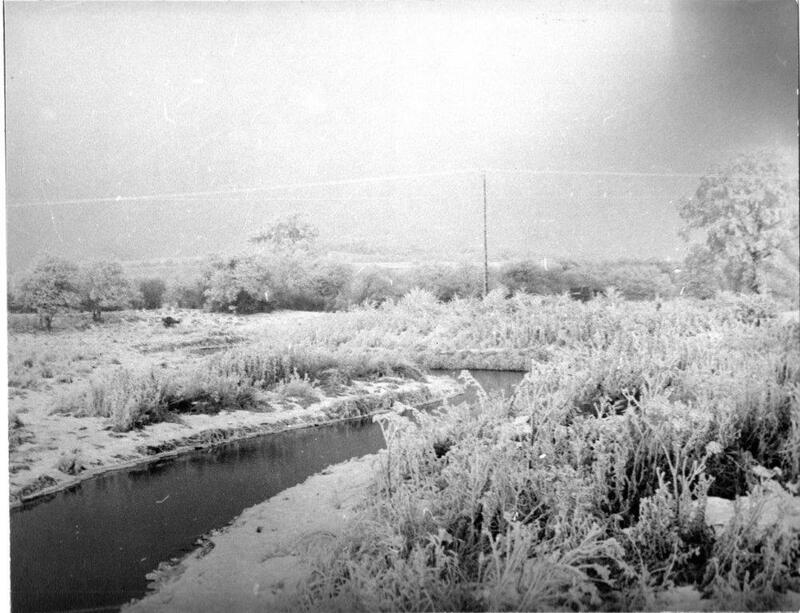 After the 1962/1963 winter the campaign went on for another few years, by which time coypu numbers were reduced to relatively low levels and so the campaign was eventually stopped, although it had obviously not succeeded in totally eradicating them. What happened next is we had a series of relatively mild winters and the coypu population, fairly predictably, started to rise again and people were saying the problems they’d perceived before were happening all over again. In 1977, the Government of the time decided to set up a Coypu Strategy Group to advise on the future control of coypu. By this time, there was quite a bit of research in place to guide them, including a number of models saying roughly how many coypus there were in the wild at the time and also others modelling various scenarios around what might happen in the future. For example, if you employed 15, or 30, or 45 trappers, what was likely to happen in each case, given different weather scenarios. What came out of the Coypu Strategy Group was a recommendation that another eradication campaign should be started. Available to the Strategy Group was one other crucial bit of information. The laboratory had a study area, running between Norwich and Reedham, and over that area the laboratory field staff were trying to see if it was possible to actually eradicate coypus. The area had quite difficult habitat – Surlingham, and Rockland broads – lots of big reed beds and the extensive grazing marshes that go down to Reedham itself. Now you would never get the last one in the study area, because coypus could come in from either end, but you could get them down to very low numbers and show with reasonable certainty that any coypus that were there had come in from the outside. In fact, the laboratory was able to show that eradication was technically possible, in an area where people said you couldn’t do it. So we could show that a) we were able to model what was likely to happen under different scenarios and b) it was technically possible to eradicate coypus. That allowed the Strategy Group then to say let’s go for it. 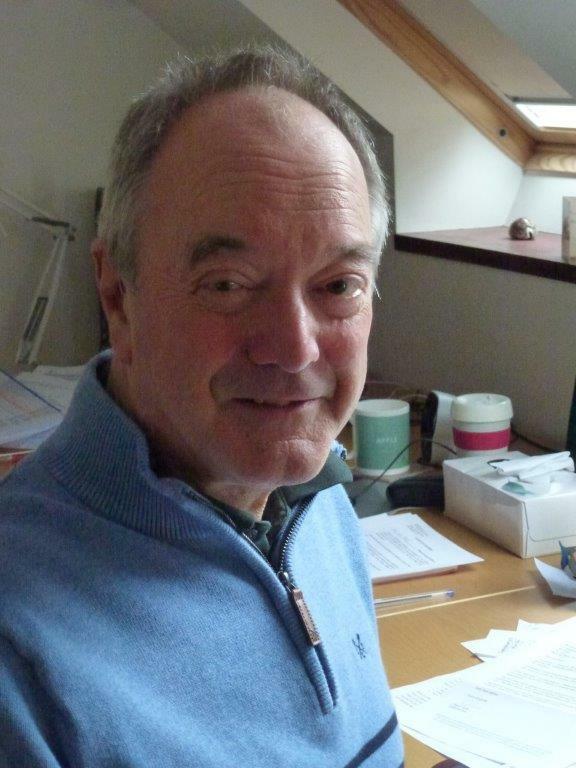 All the information available to the Strategy Group, was provided by the newly formed Coypu Research Laboratory directed by Dr Morris Gosling. I think there were only ever about ten people working there. 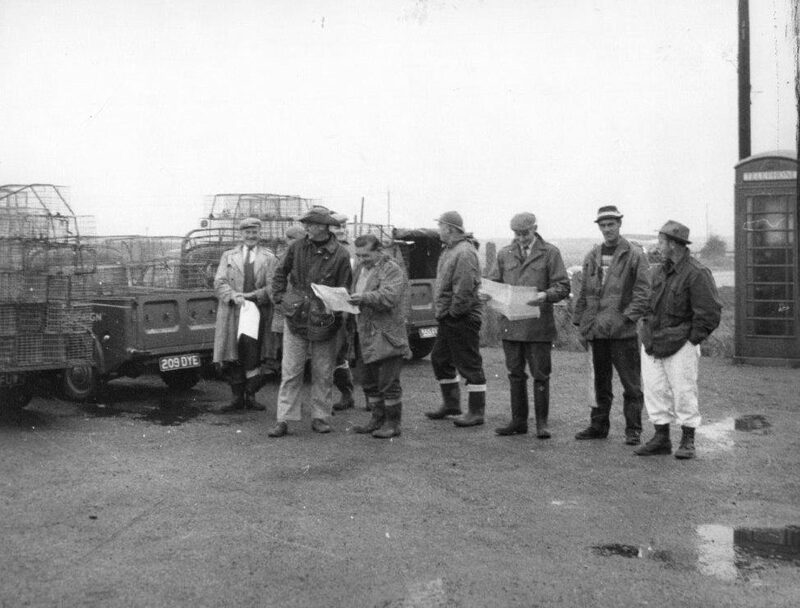 When I joined in 1976, as a scientific officer, there were about three scientific staff, three field staff and probably another three staff; a couple of them would be looking after the admin, typing and so on, and one person looking after the animals. Following promotion I worked as Morris’s deputy for most of my 14 years at the laboratory. There were two bodies operating in parallel at this time. 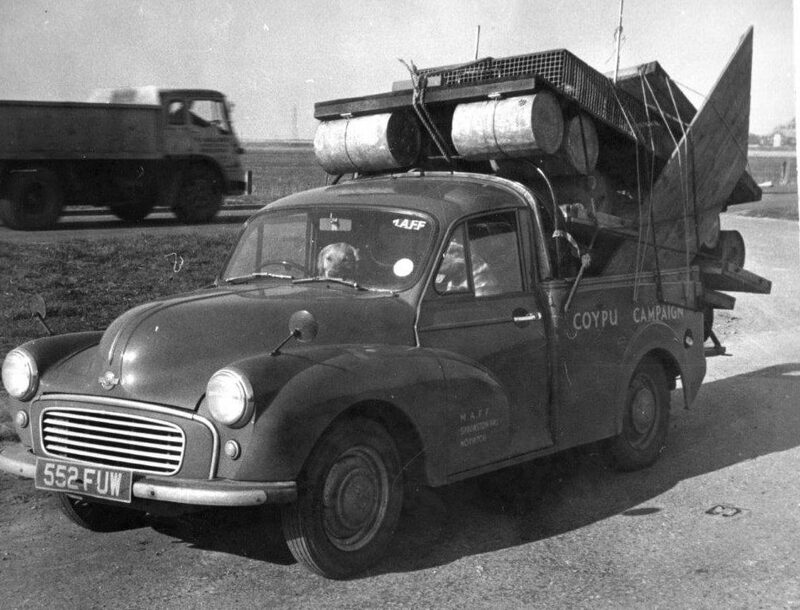 As well as the Coypu Research Laboratory there was the Coypu Control Organisation, which employed the trapping force and was entirely separate and funded 40 percent by Anglian Water, 50 percent by Government and a further 10 percent by Internal Drainage Boards. It was chaired by Ken Buckley, who worked for Anglian Water, and they employed a manager for the organisation, George Guyan; a lovely gentleman who had worked in South America before the War and he had been in the Army during the War. Following the advice of the Strategy Group twenty-four trappers and three foremen were employed to actually carry out the control of coypus. The Coypu Research Laboratory was funded by the Ministry of Agriculture, but provided all of the background advice and developed the strategy and tactics that were employed by the campaign. It was an interesting scheme that was set up. I don’t think there’s ever been anything quite like it. 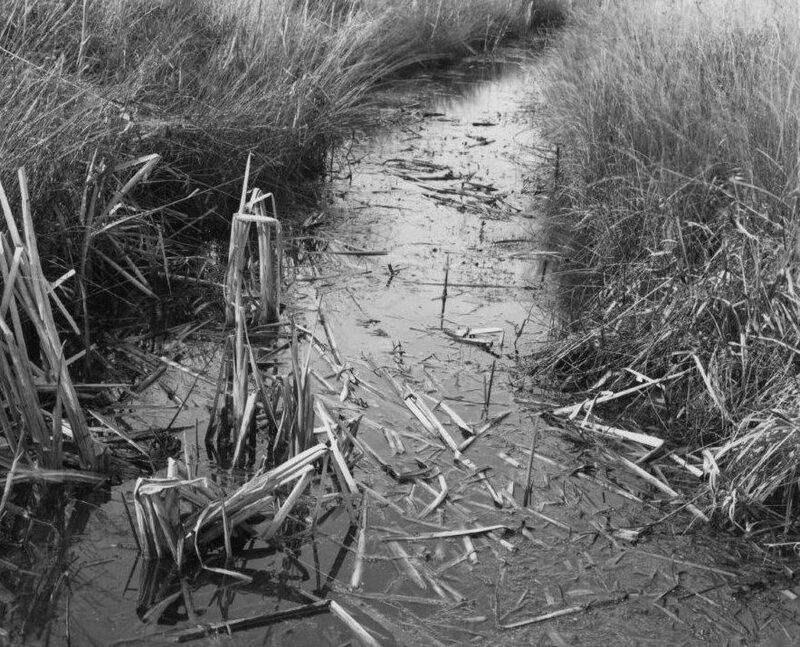 It was set up as a ten year scheme and one of the key things to consider was that if you set up an eradication scheme and trappers were successful in eradicating coypus before ten years, they would, of course, be out of a job; no great incentive to succeed. It was a non-pensionable job and not a particularly well paid one. However, the scheme was set up in such a way that if the trappers were successful in eradicating coypus within six years, they would get a bonus of three years’ pay and that would then fall off from six years to ten years on a pro-rata daily basis. So the trappers didn’t have the worry of possibly doing themselves out of a job, as the quicker they eradicated coypus the larger the bonus they would receive. One thing that isn’t immediately obvious is that when you’re trying to eradicate something, you’ll only know you’ve achieved this in retrospect. So there are various key points. One is the time when you retrospectively decide you’ve eradicated coypus. In fact, in the coypus’ case it was deemed that the last viable population of coypus ceased to exist in April 1987, although three isolated old male coypus were found after this date. Coincidentally this was a few weeks past the six year mark so the trappers earned an almost full bonus. 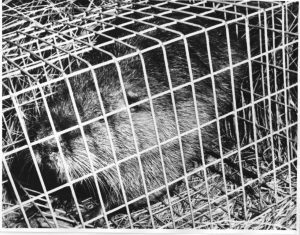 However, trapping by Coypu Control trappers continued until January 1989, trying to ensure there were really none there. In parallel with that, there had to be some independent check, because there was a lot of money going to be paid out; nearly three years’ salary for each trapper. The field team from the Coypu Research Laboratory then moved into work to validate the eradication. The way we did that was to set out small rafts, about 2ft square, with a little ridge round the edge, filled with stock feed carrots. These would be placed throughout East Anglia, and if there was a coypu about you’d find droppings, or tooth marks. The advantage of doing this compared to trapping was that if you set a trap you have to go back next day, but if you’re putting out carrots on a raft you only need go back every couple of weeks or so, therefore, you can cover a much greater area. We knew from earlier work that coypus are very fond of floating rafts because, like most aquatic mammals, they can’t stay in the water all the time; they need to draw out and something floating is an attractive site. If danger threatens you can pop back into the water and if they have carrots to eat, it’s even better. Along with the suggested period of ten years, which the original modelling had come up with, there were various caveats put forward. One was that as the research progressed you could probably make trapping more efficient. We would learn more about coypus, how to use our resources more effectively and improve techniques. 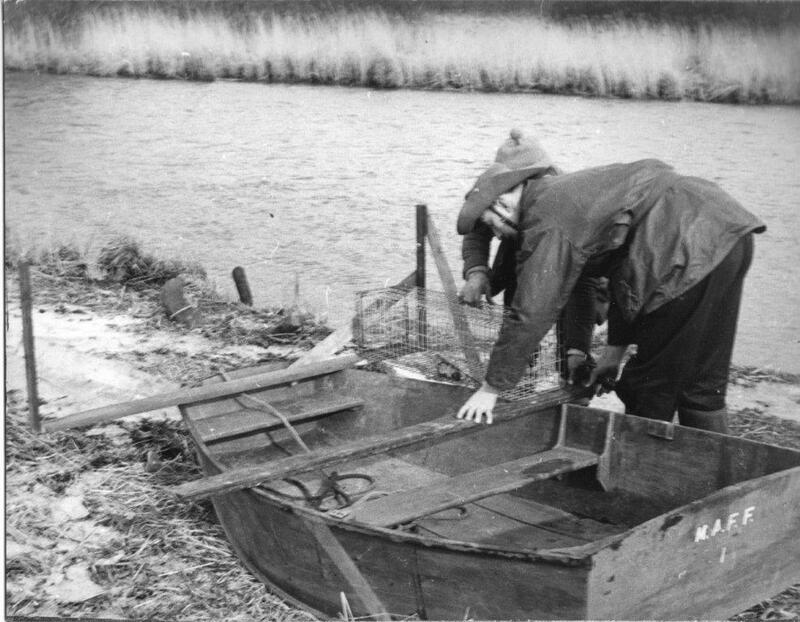 We were successful in this and, for example, one technique looked at in the Middle-Yare study area was the use of baited rafts with traps on them. We were able to show that a trap set on a baited raft was actually 50 percent more effective than a trap set on the land. 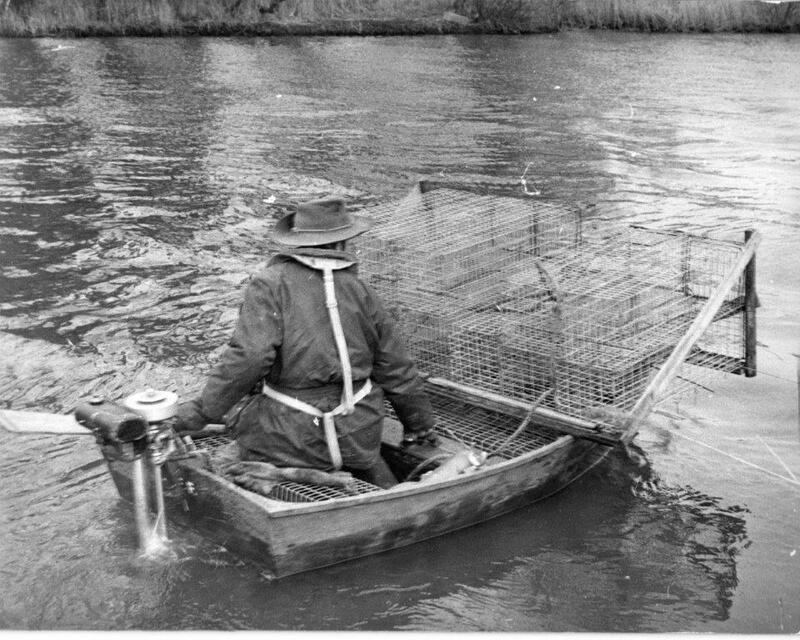 So during the campaign increasing numbers of traps were put onto floating rafts. During the campaign coypus were found over the whole of East Anglia, from the Thames to south Lincolnshire, inland to nearly St Neots, but with the most densely populated areas being Broadland with its grazing marshes and the broads. For the purpose of allocating trapping resource, East Anglia was divided into nine strategic regions and most effort was put into those regions where most coypus were killed in the previous quarter per unit of trapper effort. Therefore, you put most resource where most of the coypus were, which had the effect of bringing the whole population down over the country at a similar rate, rather than what had happened in the first eradication campaign, which was try and sweep them into the sea. This campaign was successful; in total 34,000 were accounted for and the last coypu (an old male) was caught by laboratory staff in December 1989. It probably was and is the largest scale eradication of an invasive alien mammal that has been achieved. The laboratory was then closed and we all moved on to other jobs. 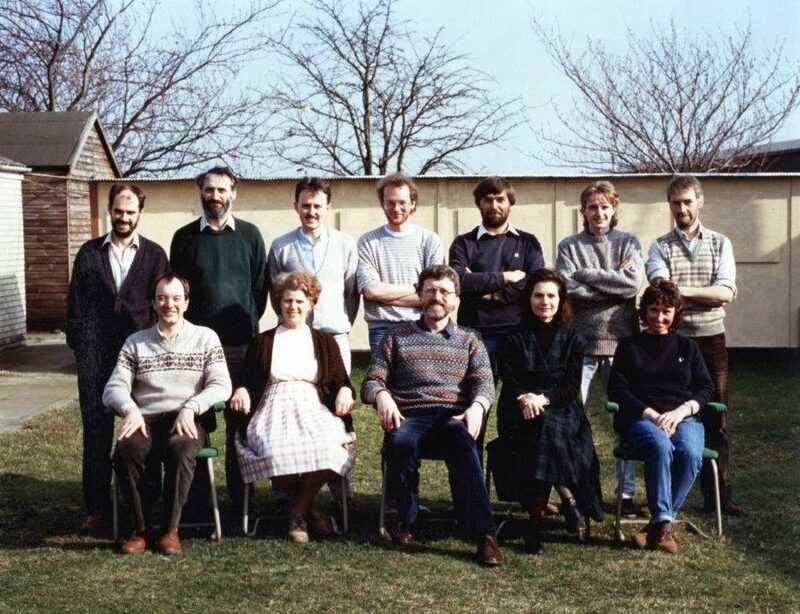 Staff based at the Coypu Research Laboratory just prior to its closure: Morris Gosling Laboratory Head (centre front), Simon Baker (front right) and Jenny Crohill another WISEArchive contributor (front left). Two staff, Karen Wright and Cyril Clarke are missing and the two gentlemen at the rear left worked on other projects (MAFF Crown copyright). When I finished at the Coypu Research Laboratory I started working with Canada geese, another introduced species, focusing on ways of controlling that population. While in this role I was based in Guildford but returning to my home in Norfolk at weekends. I looked at egg control, particularly at the effect of wiping them with liquid paraffin. What this does is it percolates through the eggshell and coats the membrane inside; that stops any gas exchange and the egg doesn’t develop any further. If you’re trying to control a population of any goose, the advantage of that is they sit on the eggs for quite a time, in fact, sufficiently long that they can’t re-lay another clutch and you then stop that year’s breeding. The research I did there led to that being approved as one of the methods for controlling populations of wild geese. From my work at the coypu lab, where we were dealing with a problem that had been caused by people bringing in introduced species which then escaped and caused problems; I always felt it would be better if you could prevent the problem occurring and avoid spending lots of money and effort and killing many animals. So I started recording escapes of animals from captivity. It was interesting to look for trends in which species were escaping most frequently and where they escaped from; the first ones were fur farms. We had mink, coypus and also muskrat, all from fur farms. Many people do not know that we had four wild populations of muskrats in this country, which were eradicated just prior to the Second World War. Then latterly there was a population of feral Himalayan porcupines in Devon that survived for nearly ten years. While I was at the Coypu Research Laboratory we supported a small campaign to get rid of those. We even kept some porcupines with our captive coypus in the laboratory, which was interesting, but cleaning them out was always a bit of a challenge! In fact, I can remember not long after I joined, my boss, Morris Gosling, went off to Africa, because he’d done his PhD out there and I house-sat for him for a few weeks. A female porcupine had died, but her baby had been brought up by Morris and was living in his house while it was still young. So while I was looking after his house I also looked after this baby porcupine too. It was called ‘Tatu’, which is Swahili for ‘three’. I remember falling asleep one evening watching the TV and this porcupine was by my feet. At the time flared trousers were in; I woke up and one of my legs was feeling quite warm. The porcupine had crawled into the nice hammock created by my trousers and I was left thinking, well what do you do with a porcupine up your trouser leg? The first thing that came to mind was don’t panic, don’t panic; luckily it came back down with its quills flat rather than extended. In 1991, after a period of working on the Canada geese, I joined the regional part of the Ministry of Agriculture in their wildlife service, which was called Wildlife and Storage Biology at the time. This was because it had developed from looking at both storage pests and other wildlife problems. So the next big change in my career was from research to an advisory role working on licensing and a wider range of animal issues, rather than research on particular animals like the coypu or the Canada geese. Through my recording of escaped animals I gradually became involved in big cats that had allegedly escaped. Around 1995 or so, the Minister at the time decided that there might possibly be a ‘Beast of Bodmin’, having had a lot of pressure from local MPs and some vocal local residents. I was responsible for the investigation into whether there was, in fact, a ‘Beast of Bodmin’, working with a colleague in that area called Charlie Wilson. The press loved ‘beasts’ and people all over the country were spotting big cats. We found that really there was no evidence at all. We looked at all the sheep kills in the area, which people thought had been killed by big cats. There was no evidence ever of anything that looked like it was from a big cat, but there was evidence of dogs. There was also evidence of badgers and of foxes and other wildlife on carcasses. There were photographs on the front page of the Sun apparently of a big cat sitting on a wall. However, we went back and put a ranging pole next to the gatepost to measure its size. It turned out to be just a small domestic cat taken with a particular lens. Similarly there was footage on the TV of cats walking between tracks left by a car that looked as though the animal must have been very large but again, this resulted from the angle from which the film was taken. When we went back and measured you could see that it’s a domestic cat. I then had to write a report about our findings and we had a big press conference in London. The Minister was with me and I had to stand up and announce there was absolutely no evidence at all of a big cat being about. However, that didn’t really kill the story, because it was too good for the press. Funnily enough, the thing that finally killed the story was that someone claimed to have found the skull of a leopard in a river, at a place called Golitha Falls near Bodmin. The skull was sent to London Zoo and one person said yes, a leopard skull, which it clearly was but they also said it proved there was obviously a big cat out here. Fortunately, we got hold of the skull and sent it off to the British Museum where they had a good look at it and were able to say two interesting things. One was that the back of the skull had been hacked off in a fairly typical way for a particular use. This was for use in a leopard skin rug; they take the top part of the cranium off, because otherwise you’ve got too big a lump where the head is. The second thing was that it had an oriental cockroach egg-case in the skull, proving conclusively that it had actually come from somewhere exotic and not this country. Of course, big cats could get out of captivity and most people that see them genuinely believe they see them. However, I think in 99.99% of the time it to do with perception and how our brains and eyes see and process the information rather than about big cats actually being out there. My career, like a lot of others, has been quite serendipitous. While working on wildlife management for the Regional Service, I gave increasing amounts of policy advice to the Department and was promoted to a role managing the work in the Eastern Region. In 2001 I went on to manage the National Wildlife Team in what had become the Department for Environment Food and Rural Affairs (DEFRA), which was very nice in some ways, but you moved further and further away from the work you enjoyed. In 2003, however, I was asked if I would become the National Implementation Manager for a new agri-environment scheme that was coming in, to be called Environmental Stewardship. This was a way of distributing the grants from the EU and the Government to farmers to support their activity and gain environmental good from those grants. Now interestingly enough, Environmental Stewardship had its roots in the Broads, because one of the first agri-environment schemes was the Broads Grazing Marsh Scheme. This started when there was a push to start ploughing up a lot of grazing marsh to grow cereals, because that was favoured by the economics of the time. A big triangle of land, to the south of the River Bure and to the east of Acle, was then brought into a scheme to pay farmers a grant not to plough up land and keep the land as grazing marsh. It proved to be a pilot for the Environmentally Sensitive Area Scheme and Countryside Stewardship, which were rolled out nationally. 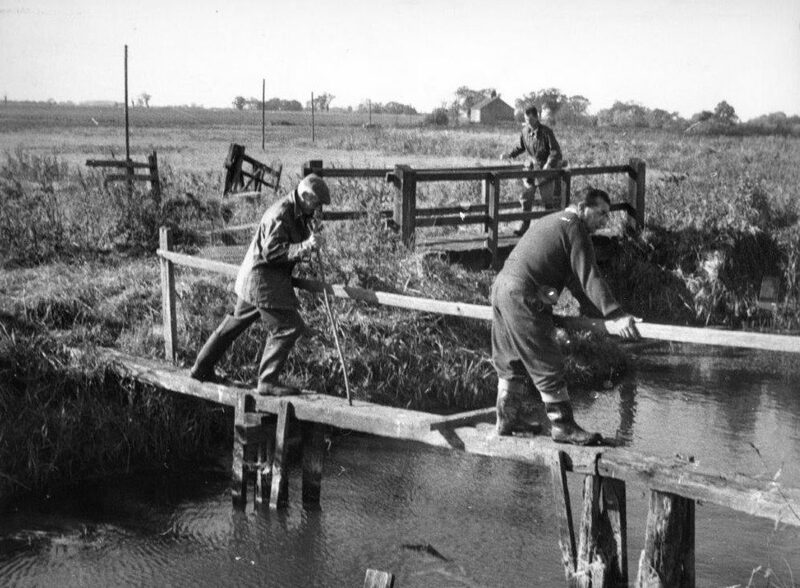 Although the original scheme developed in the grazing marshes and the Broads, was primarily about conserving landscape the later schemes included preserving wildlife as well. My job then, as Implementation Manager for Environmental Stewardship, was to bring this new scheme in nationally. This meant ensuring that the 1600 or so staff were trained in the new scheme, all the booklets were ready and we had the computer systems to support it. It didn’t go without a hitch but I think pretty smoothly. I didn’t have any background in agri-environment schemes and I wasn’t sure that I could actually manage a project of this size, but I learned a lot and it was an interesting, although extremely hectic, couple of years. The part of DEFRA I was in then merged with English Nature and the Countryside Commission to form Natural England. To help prepare for this I had to manage the transfer of the Dairy Hygiene Inspectorate to the State Veterinary Service. With the formation of Natural England I managed the fourteen or so teams around the country involved with statutory work: wildlife licensing, SSSI designation, preparing for Coastal Access etc. This involved a good deal of travel and I retired in 2010. 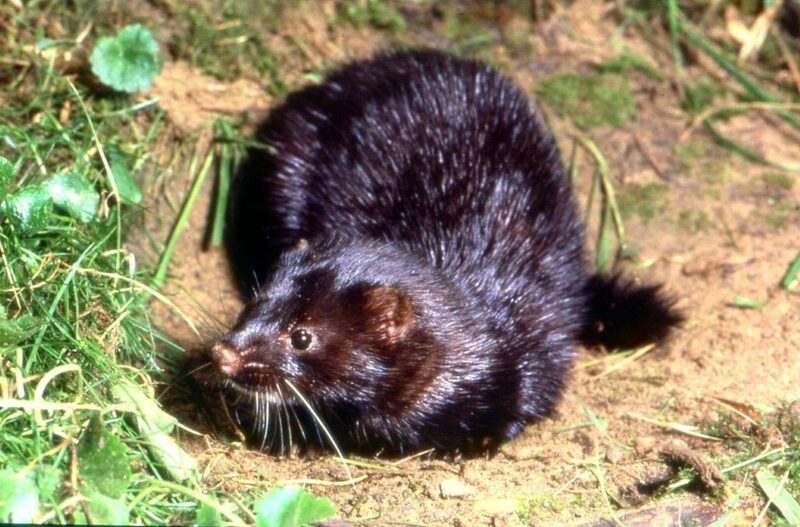 Mink had originally been introduced into the country about the same time as coypus in the late 1920s. There were farms across Norfolk; these were mainly in the east of the county, probably for the reason that we had fish coming in on the coast and fish offal was a cheap nutritious source of food for mink and you wouldn’t want to transport it too far. 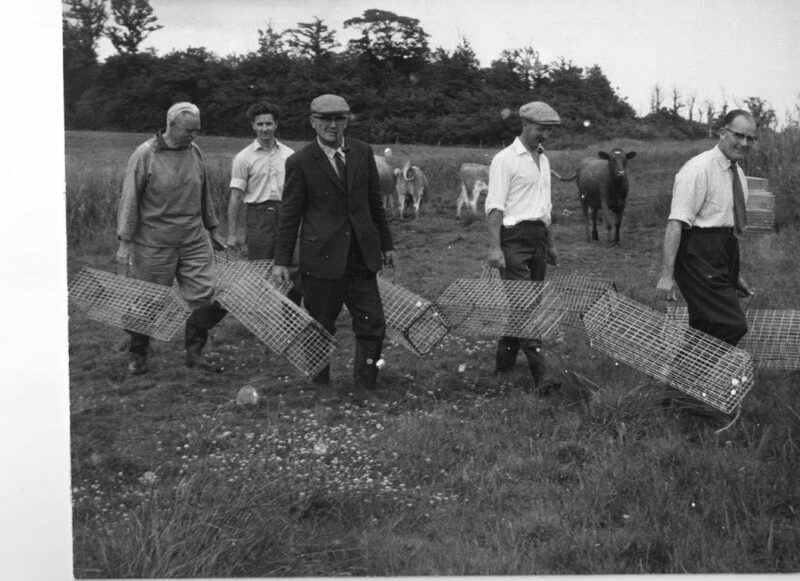 There’s a film taken in about 1964 of a mink farm at Seething, owned by Major Le Coq. This is in the East Anglian Film Archive and it’s available free via the Internet (https://player.bfi.org.uk/free/film/watch-major-lcocks-mink-farm-in-norwich-1964-online). It’s interesting to see in the early 60s how someone was keeping mink, how they were feeding them and getting the pelts for coats. In 2000 the Government made it illegal to keep any animals for their fur. Mink were the only species that was being farmed for fur at the time. The farm owners were compensated for their loss of business and then the whole of the fur industry was then finished in this country. We were catching the odd mink originating from fur farm escapes during the coypu campaign and when we brought in rafts we caught a lot more. Overall we caught about 370 mink in coypu traps baited with carrots, which are not a favourite food of mink, who are carnivorous. Coypus, of course, are almost completely herbivorous; they eat only plant material with the exception of fresh water mussels. Mink are semi-aquatic; they like to get out onto rafts in the same way that coypus did. If they were on a raft they’d wander into a trap and get caught. These were then humanely despatched with a shot to the head, as were the coypus. In the early 1960’s the government again began getting slightly worried the population of American mink that was developing across the country because of escapes from farms. In 1962 legislation was brought in to control mink farms to make them more secure than they were before. About half the farms went out of business at that time, but the mink population in Norfolk gradually built up. The first wild mink killed in Norfolk was in a hen run in about 1957; thereafter the population expanded. I couldn’t prove it, but I think the intensive coypu trapping probably slowed their expansion in East Anglia. Mink can wipe out water voles even at very low densities and they take a variety of other native species as well. They’re very catholic in what they take and can go after kingfishers, other wild and game birds, as well as fish. Although they cause a different type of environmental damage to coypus they certainly are a very big problem, particularly for water voles. I would go as far as to say, unless you control mink, you will not have water voles. After I’d retired, in 2012, I went along to a meeting about mink and introduced species held in North Norfolk and introduced myself to the speaker who was from the county council. I gave him a bit of my background and he asked if I would like to join the Strategy Group, which was supporting the mink control that was going on in Norfolk and I said I’d be very pleased to do so. Soon after that I did a review of what was going on at the time and, for my sins, became Chair of the Strategy Group. My involvement with mink had been off and on since I’d seen them in the coypu days. When I changed to the regional job in the Wildlife Service, one of my tasks was actually visiting mink farms to check that they complied with the keeping regulations this included farms in Norfolk. I was also involved dealing with the aftermath when animal rights activists had raided farms and let mink go. One of those, interestingly, was in the New Forest and it was in the newspaper recently that an undercover police officer had been the main person behind that release, which had caused much more furore than he thought it would do. The mink that had been kept in small family groups were let out into a big enclosure and then out of the enclosure into the wild. When mink unknown to each other met they would fight like anything and you’d go in and there would be dead and dying mink, many with injuries from fighting; the damage the mink did to each other was horrendous, not to mention the wildlife damage caused when they got out. So I had an involvement with mink and the control of introduced mammals before my involvement with the Norfolk Mink Project. The project had its origins in 2003, trying to control mink in the Wensum valley because of the catastrophic decline in water voles. It had then expanded into the Norfolk Broads and along the River Nar. Then we decided that because mink can move such a long distance (over 70 percent of mink move more than 50 kilometres from their place of birth), trying to control them in relatively small patches wouldn’t solve the problem. We needed to bring the whole of Norfolk in and the current Norfolk Mink Project covers the whole of the county. The project is based on volunteers detecting and trapping mink using mink rafts, which were developed by the Game Conservancy Council. These have clay pads on them, which are kept damp by ‘oasis’ that goes underneath the clay and into the water the rafts are sitting on; any mink around leave their footprints in the clay pad. This pad is under a tunnel and if mink footprints are found on the clay, you can slip a trap into the tunnel and hopefully catch it. It can then be humanely despatched and any non-target animal released unharmed. The project has around 300 volunteers around Norfolk, who are looking out for and controlling mink (more information can be found at https://thenorfolkminkproject.org.uk/). We’ve made extremely good progress. For instance, in the first year on the Wensum alone about 170 mink were taken. Now, covering the whole of Norfolk, in the last few years we’re averaging around 70, so numbers are very much reduced. However, although we work closely with other counties in East Anglia, there will still be mink coming into the county and with a very modest budget we are unlikely to eradicate them from Norfolk in the near future. However, the project is allowing water voles to survive in Norfolk and the Broads, which has always been one of the prime locations for the species in the country.